Would like to be able to back up my drum patterns and song tracks to iCloud or Drop Box. Also the abality to move created drum pattern and songs between Apple devices. 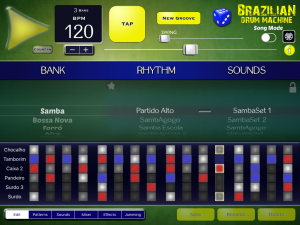 Another nice option would be able to over write a existing my created drum pattern with changes instead of assigning a new name and having to change drum pattern in created songs.